Follow all the excitement of the 2018 season by playing our new NFL Challenge game! Challenge your friends and family, join a private league, or just compete against other NFL fans up and down the country, with weekly prizes and the chance to win a pair of season tickets to the 2019 games in London. Read on below to find out more about the game, and register to play by clicking here. 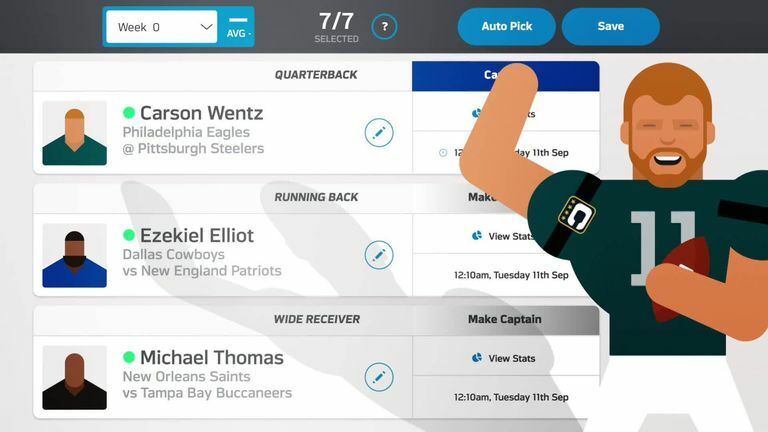 Each week you get to pick a passing offense, rushing attack, defense and special teams unit to pick up points for your team while, on top of that, you can select a quarterback, running back and wide receiver to score additional points. Points are dished out for, among other things, yards gained, touchdowns, sacks, safeties, while you get minus points for interceptions and fumbles. Also, select a designated captain each week who will score double points for your side. BUT, be aware you can only select a specific team or player a maximum of five times throughout the 17-week regular season, so choose your options wisely. Click here to register to play NFL Challenge.